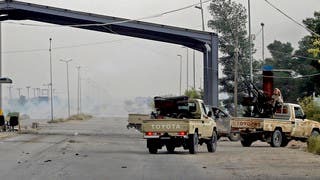 The United States-led coalition said on Tuesday it had killed ISIS’ self-proclaimed top cleric in an air strike in May on a Syrian town near the Iraqi border. 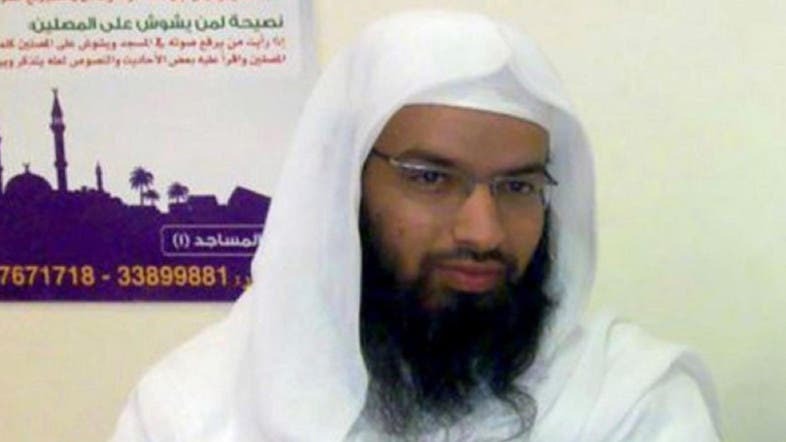 “Coalition forces killed Turki al-Binali, the self-proclaimed ‘Grand Mufti’ or chief cleric of ISIS in an air strike May 31 in Mayadeen, Syria,” the coalition said in a statement, using an acronym for the extremist group. Rumors of Binali’s death had circulated after the strike, but there was no official confirmation until the statement. ISIS confirmed the death of the grand Mufti and prominent leader of its Bahraini branch Turki al-Binali after a coalition air raid targeted militiants earlier this month. Binali was also known as Abu Humam al-Athari, Abu Sufyan al-Salim and Abu Hudhayfah al-Bahraini. Binali was one of the most prominent leaders of ISIS in the Libyan city of Sirte, where he lectured and prepared religious sessions in the mosques for ISIS members. He moved to Sirte in Libya in 2013, and preached at the Rabat Mosque in October 2013, when he urged the residents of the city to pledge allegiance to the leader of ISIS, Abu Bakr al-Baghdadi. He then appeared in the city of Raqqa in July 2015 where he performed the Eid prayer before returning to Libya again. Binali returned to Sirte after the death of al-Anbari in an American raid in the east of Derna in 2015, in order to reorganize the ranks of ISIS and make administrative arrangements on behalf of Baghdadi. Binali (34 years-old) grew up in the Bahraini city of Muharraq. He pursued his elementary and complimentary education at al-Iman School and then completed his secondary education at the literature department of al-Hidaya school. He then went to the College of Islamic and Arabic Studies in Dubai for a year and a half, until the UAE government raided his house in Sharjah and arrested him before deporting him to Bahrain. Binali was the imam of a mosque in the Muharraq market before being dismissed because of his heresy and extremist sermons. He worked as a teacher at the Omar bin Abdul Aziz school in al-Hala city, but was quickly fired. In 2015, Bahrain's Ministry of Interior revoked his citizenship as part of the procedures for maintaining the security and stability in the country facing extremism threats.